Another sweeps from Suave! Click here to visit the tab and either follow their directions or click “skip this step” towards the bottom. Then fill out the form to enter their sweepstakes. 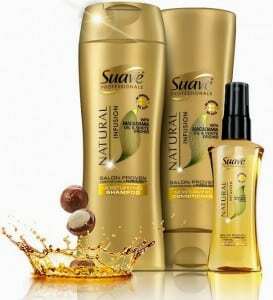 50,000 winners will score a coupon for a full-sized Suave Professionals Natural Infusion product. Good luck!